Why do I need a surety bond for my Louisiana Notary Public Commission? This surety bond is required by the state of Louisiana for any individual applying for, or renewing, a Louisiana Notary Public commission, and protects the public against any damages caused by negligence or misconduct by the Notary Public during the course of their commission. In lieu of a surety bond, applicants may instead choose to file a personal $10,000 with the Secretary of State. A surety bond is a three-way agreement between a Principal (the individual applying for a Notary Public commission), an Obligee (Louisiana Secretary of State), and a surety company (the company financially backing the bond). A surety bond does not function like an insurance policy for the Principal; instead, it protects the Obligee and the Louisiana public against any financial damages that could arise if the Principal violates the terms of their commission. The bond is a financially-backed guarantee that the Notary Public fully understands and agrees to comply with all rules and regulations pertaining to their commission, as described in Title 35 of the Louisiana Revised Statutes. This $10,000 bond runs concurrent to the Principal’s 5-year commission, and costs $100 ($50 premium + $50 fee), and has the additional option of E&O insurance of $10k, $15k, or $25k. If you would like to add E&O to your policy, please note this in your application and you will receive an updated quote from an agent. If the Principal violates the terms of their commission, and thus the terms of the bond, there will be a claim filed against the bond. The surety company will pay damages through the bond, at which point the Principal is obligated to repay the surety company in full. In addition to repayment, the surety company may revoke the bond, at which point the commission will be invalid until a new bond is filed. Understand that claims against your bond will complicate future surety bond applications, as a claim acts like a mark against your “credit” in the surety bond market. 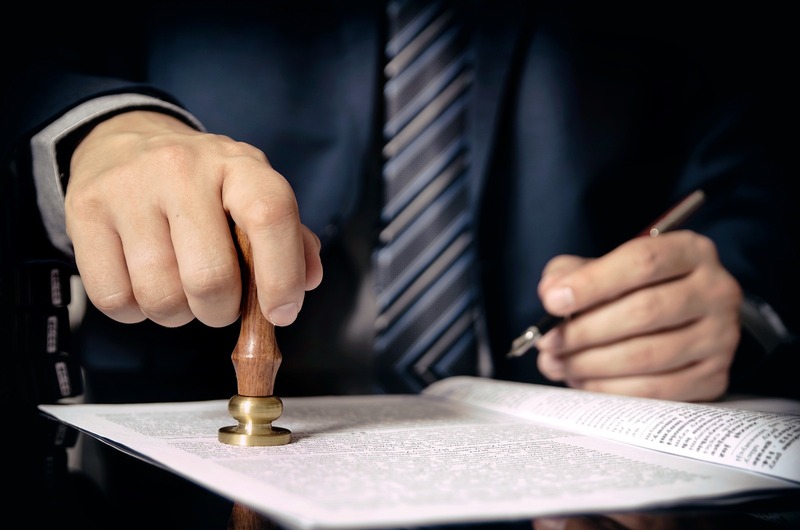 The notary bond guarantees payment for damages up to $10,000 in the event the notary does not faithfully perform their duties as a Notary Public in the Parish of their commission. Any non-Attorney notary applying for a commission in the State of Louisiana needs one of the following in the amount of $10,000: a Notary bond, an Errors and Omissions Policy, or a personal surety bond. Only one of these is required. To apply for your Notary Public Surety Bond, complete and submit the application below. You may also download a .pdf application, and email it to apps@southcoastsurety.com, or fax it to (949)361-9926. If you choose to email or fax your application, please download and complete a payment form and attach it to your documents. Be sure to list the Parish where you are applying for a commission, as well as E&O if you choose to include it in your policy.